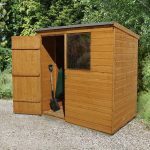 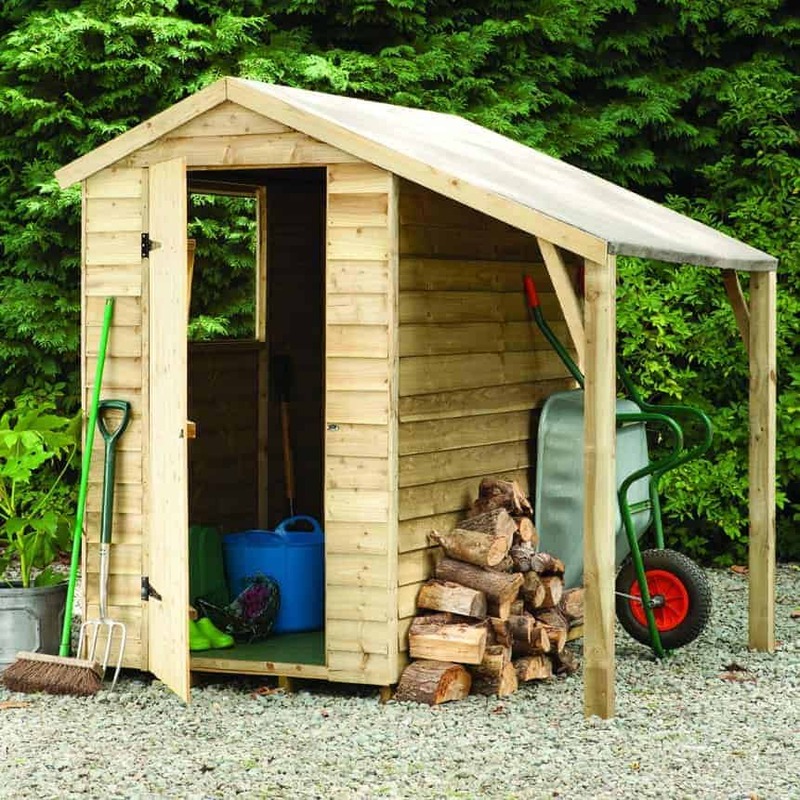 This is a neat, compact Overlap Wooden Shed with a useful lean-to at the side. 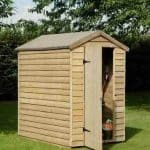 It has been pressure treated making it low maintenance and it is constructed from 8mm overlap board for strength and durability. 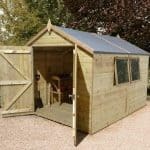 The lean-to is excellent when you need to plant but the weather is bad and equally offers shade from the sun. 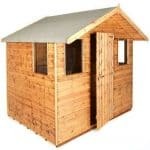 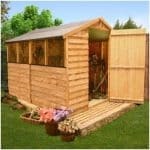 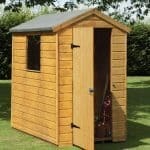 The shed comes with a 15 year anti-rot guarantee and is delivered with home assembly for your convenience.